TO CLEAR - REDUCED TO HALF PRICE! 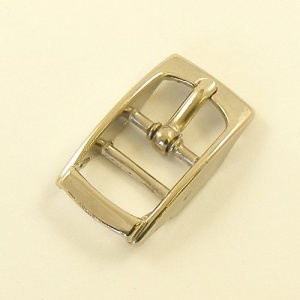 This is a smart die cast steel buckle, plated in nickel. This size is designed for use on a 12mm (1/2") wide strap. 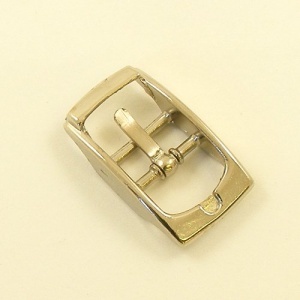 Ideal for bag straps and closures, this buckle has a double bar which means that you don't need to punch an oblong hole for the tongue of the buckle to go through when attaching it to your strap. Please note that these are lightweight buckles so although they are very useful and decent quality, we do not recommend them for use on dog collars.